Ammonites are an extinct group of cephalopod molluscs that lived in marine environments. They first appeared in the Late Silurian or Early Devonian (about 400 million years ago), and went extinct at the end of the Cretaceous period (about 65 million years ago), during the Cretaceous-Tertiary mass extinction. Although they outwardly physically resemble the modern Nautilus, Ammonites are actually believed to be more closely related to cuttlefish, octopi, and squid. The Roman author, Pliny the Elder (23 CE to 79 CE) called the fossils, the "horns of Ammon", because he thought that they resembled the ram's horns which the Egyptian god Ammon was depicted with. In medieval times, Ammonites were often thought to be petrified snakes, and were often called "snake stones" or "serpent stones". The supposed petrification was usually ascribed to the actions of saints such as Saint Patrick (who was said to have driven the snakes out of Ireland). 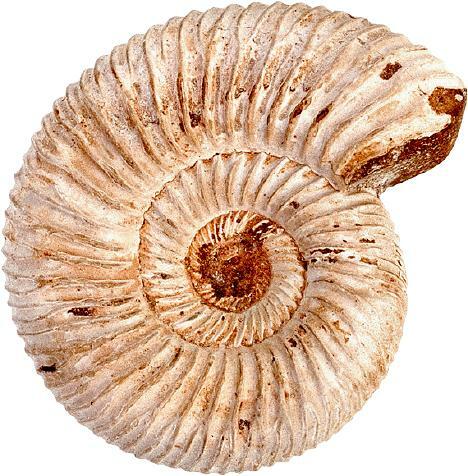 In India, Ammonites were sometimes regarded as symbols of the god Vishnu, and were kept in temples. 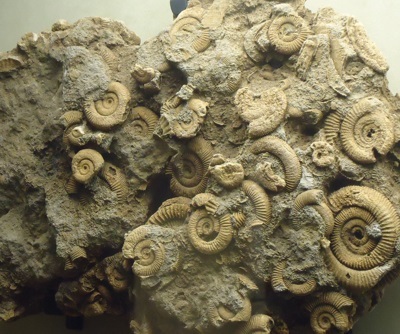 Today, modern scientists often use Ammonites and Amminoids as "index fossils" (fossils which are used to help date the rocks that they are found in), particularly for Mesozoic Era rocks. This is possible because these fossils are relatively abundant in rocks, are widely distributed, and because different species evolved and went extinct in rapid succession - thus the presence of a particular species is indicative of rocks being formed in a particular time period. Change or die: the only options available on the Durallium Company-owned planet GP. The planet's deadly virus had killed most of the original colonists -- and changed the rest irrevocably. Centuries after the colony had lost touch with the rest of humanity, the Company returned to exploit GP, and its forces found themselves fighting for their lives. Afraid of spreading the virus, the Company had left its remaining employees in place, afraid and isolated from the natives. Then anthropologist Marghe Taishan arrived on GP, sent to test a new vaccine against the virus. As she risked death to uncover the natives' biological secret, she found that she, too, was changing, and realized that not only had she found a home on GP -- she herself carried the seeds of its destruction . . . The beautiful spiral shells of these long-extinct marine invertebrates are among the most sought after and recognizable of fossils, yet little has been published about ammonites outside of geological journals. Neale Monks and Philip Palmer look at the latest ideas on ammonite biology and ecology to present this detailed picture of a once diverse and widespread group of animals. The authors describe the evolution of ammonites and their relatives and explain how they created their shells and used them as flotation devices. All the major groups of ammonites are described and illustrated (as are many minor ones), and important material is included on anatomy, feeding, reproduction, and pathology. The 300-million-year existence of ammonites ended at around the same time that dinosaurs became extinct. 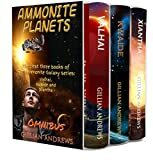 Fortunately, ammonites were once so abundant that their fossilized shells can be readily found, and the authors provide a helpful guide to locating and collecting these unique fossils. The two occupants were staring at each other in disbelief. “You’re a no-name!” said Diva, and took a step back. “And?” said Six, and took a step forward. “I was only going to offer you my hand!” Six said, plaintively. “I wouldn’t touch your grubby hand if I were drowning in a sea of Xianthan crocodiles!” snapped Diva. Great notebook for the fossil and geology lover in your life. Can be used for class notes, as a journal, even as a place to keep track of your list of things to do. The uses are endless. Makes a great gift. Memory and history have been Penelope Lively’s terrain in fiction over a career that has spanned five decades. But she has only rarely given readers a glimpse into her influences and formative years. 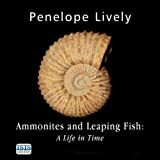 Dancing Fish and Ammonites traces the arc of Lively’s life, stretching from her early childhood in Cairo to boarding school in England to the sweeping social changes of Britain’s twentieth century. She reflects on her early love of archeology, the fragments of the ancients that have accompanied her journey—including a sherd of Egyptian ceramic depicting dancing fish and ammonites found years ago on a Dorset beach. She also writes insightfully about aging and what life looks like from where she now stands. Many people know that Jane Austen (1775–1817) was one of the greatest literary voices in history, celebrated by critics and the public alike, who wrote Pride and Prejudice and Sense and Sensibility. What, perhaps, they don’t know is that she was one of eight children of a clergyman; that all of her novels were originally published anonymously, with one simply authored "By a Lady," and that she once accepted a marriage proposal, but changed her mind the following day. This handbook to her life and work presents an array of irresistible facts and figures converted into infographics to reveal the author behind the words. This is not quite a memoir. Rather, it is the view from old age. And a view of old age itself, this place at which we arrive with a certain surprise - ambushed, or so it can seem. One of the few advantages of age is that you can report on it with a certain authority; you are a native now, and know what goes on here. Taking in old age, the context of one's life and times, memory, reading and writing, and the identifying cargo of possessions - two ammonites, a cat, a pair of American ducks, and a leaping fish sherd, amongst others - this is an elegant, moving, and deeply enjoyable memoir by one of our most loved writers. The Sherlock Holmes Escape Book is the first in a unique new series of puzzle books, in which the reader is trapped in the pages and must find their way out by solving the puzzles that hold the key to their freedom. Visual clues are hidden among the intriguing illustrations; fiendish riddles, logic puzzles, and timed challenges unlock hidden doors and reveal the direction of travel; and mathematical problems provide the codes required to follow the correct path. There are maps and mazes to explore; references to the original Sherlock Holmes adventures to unravel; and a code-wheel that holds the key to unlocking the next page. Solve the puzzles correctly to escape. Get them wrong, and you will find yourself further and further along the path to your own demise. This ingenious new series is a spin on the current urban craze for "escape rooms." Here, the book becomes the locked room, the pages become the path, and the reader can take on a challenge every bit as brain-teasing from the comfort of their own home. Ammonites dominated the sea before and during the time dinosaurs dominated the land. Some ammonites were large predators not unlike today's giant squid; others small and delicate. Three times during their reign of more than 300 million years ammonites experimented with the most bizarre and startling shell shapes. Now, new technology is revealing the full beauty of these 'heteromorph' ammonites and they have become some of the most desirable and passionately collected natural objects. This is their story - and how they are becoming a vibrant part of 21st century lifestyles, art and design. This book is a must for anyone interested in the wonders of the natural world, and their impact on our culture.